New high-tech treatments may be able to repair cavities without fillings and even regrow entire teeth. From fluoride toothpaste to dental sealants, science has brought all sorts of tools for fighting tooth decay — and yet 91% of Americans between 20 and 64 years of age are affected by dental caries. But provocative new research suggests that cell-stimulating medications can “trick” teeth into repairing themselves. If these “small molecule” drugs work as well as scientists think they will, we may be on the cusp of a new era in which dental tissue and even entire teeth can be regrown. And this is only one of several new approaches that hold promise for tooth regeneration. Right now, when dentists spot caries, they drill out the decayed material and fill the hole with a cement-like substance called amalgam. But amalgam can fail or even fall out. That can bring more discomfort and a trip back to the dentist. This could all change. The research shows the drugs can coax stem cells within the dental pulp — the soft material deep within teeth that’s filled with nerves and blood vessels — into regrowing enough bony tissue (dentin) to fill the cavity. Researchers are especially excited about Tideglusib, a low-cost experimental drug with an established safety record. They think it could be fast-tracked through clinical trials for use to stop tooth decay (Tideglusib is currently being tested for use against Alzheimer’s disease). So far Tideglusib has been studied only in rats, but Sharpe expects to start human trials within the next year. He hopes that it can eventually replace amalgam, which contains mercury. “Mercury works and it lasts for a long time, but having that in your mouth is a concern,” Sharpe says. Meanwhile, scientists at the University at Buffalo in New York are exploring an even more radical way to regrow teeth. A team led by Dr. Praveen Arany, assistant professor of oral biology at the university, is testing the use of low-power laser light to stimulate tooth regeneration. Dogs can't speak human. Here's the tech that could change that. When decay reaches the pulp, dentists perform a root canal. This involves removing the bulk of the tooth and then filling what’s left with amalgam. The tooth is then sealed with an artificial cap, but this can fail over time as a result of the stresses of chewing. Arany has found that shining laser light directly on the remaining pulp can stimulate stem cells in the pulp to produce new dentin. This would still need to be capped, but is likely to be far more resilient. 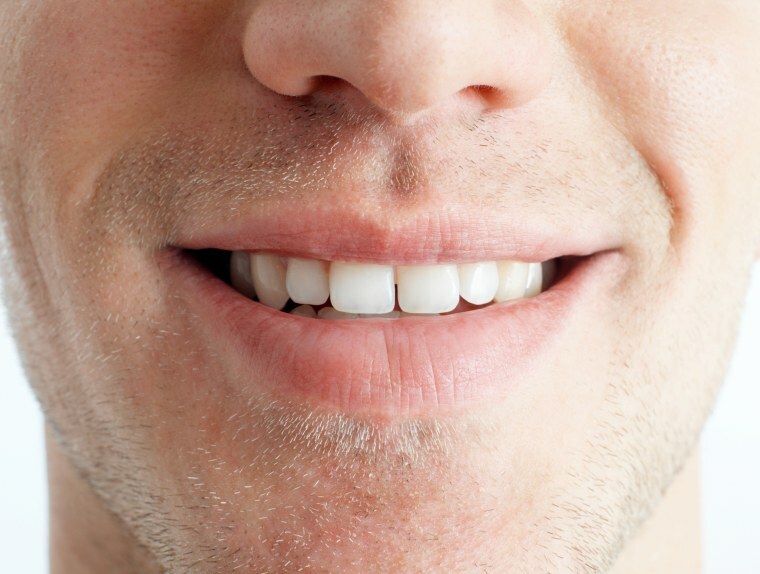 The holy grail for dental researchers is the ability to regrow an entire missing tooth. Sharpe has done this in mice, but doing the same in humans raises ethical and legal concerns. It would involve the creation of a so-called tooth primordium (a tooth in its earliest stage of development) and implanting it in the jaw where the missing tooth had been. To create a tooth primordium, it’s necessary to harvest stem cells from human embryos — which bumps up against U.S. law.